I have been looking for items to include in my Valentines Day gift guide. I was asked if I would like to include cupcakes from The Cake Crew. After expecting a voucher so that I could buy myself one or two boxes. We had an amazing delivery of cake! As we were sent so many lovely cakes it felt right to write a full review. 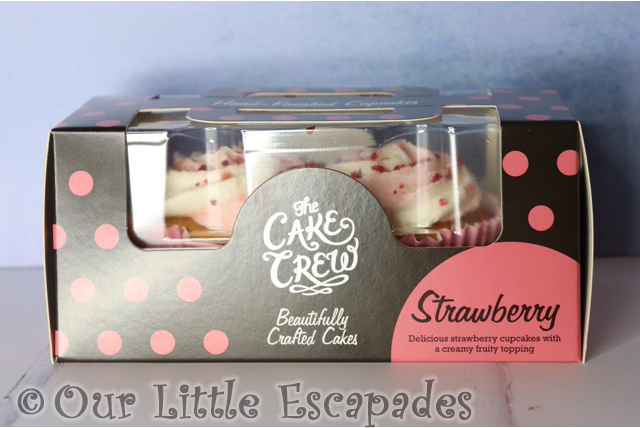 A great way for you to see the cupcakes that are available from The Cake Crew. The chocolate cupcakes are chocolate sponge filled with chocolate flavoured sauce. They are topped with chocolate flavoured frosting and white chocolate drizzle. Decorated with a milk chocolate flake bar and golden chocolate flakes. 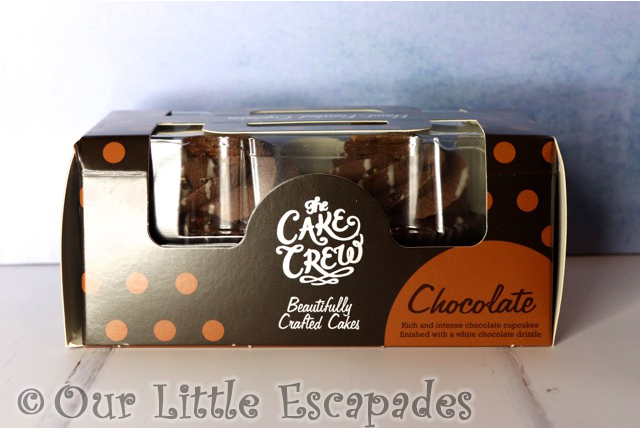 The Cake Crew chocolate cupcakes come in packs of two. 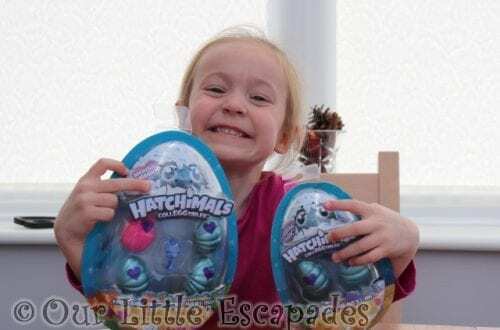 They are available from Ocado and Costco and have a RRP of £2.00. The strawberry cupcakes are vanilla sponge filled with strawberry jam. 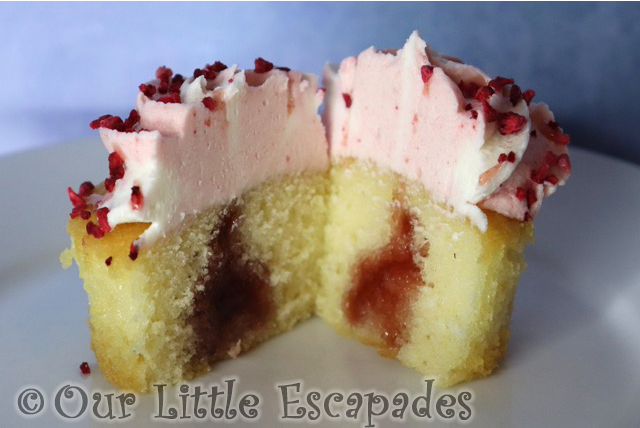 They are topped with a duo of strawberry and vanilla flavoured frosting. Lastly decorated with a fruit topping. The Cake Crew strawberry cupcakes come in packs of two. 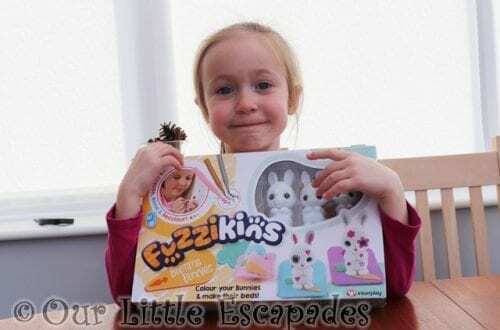 They are available from Ocado and Costco and have an RRP of £2.00. 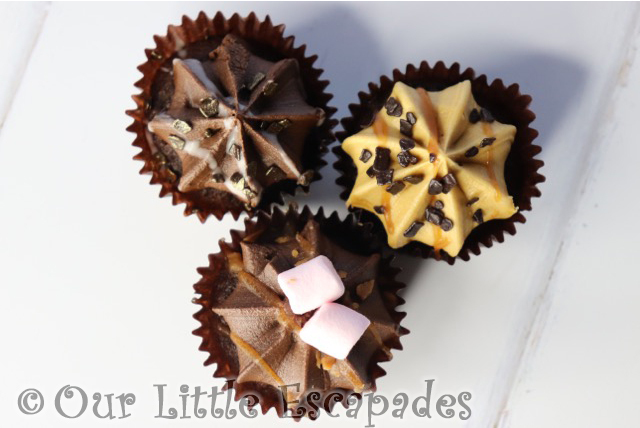 The chocolate assorted mini cupcakes contain three different cupcake flavours. Chocolate, Salted Caramel, and Rocky Road. 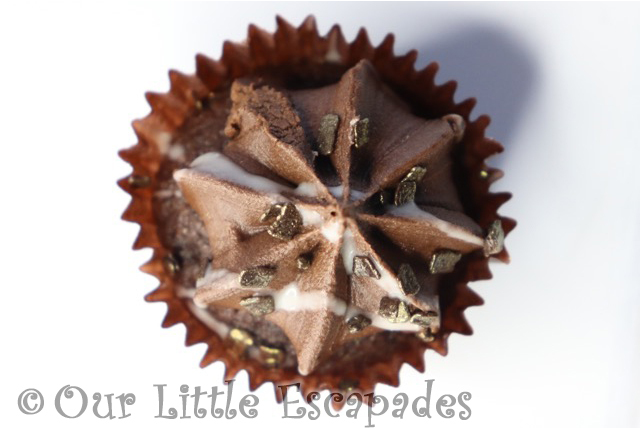 The chocolate mini cupcakes are chocolate sponge filled with chocolate flavoured sauce. They are topped with chocolate flavoured frosting and white chocolate drizzle. Decorated with golden chocolate flakes. The salted caramel mini cupcakes have a chocolate flavoured sponge. 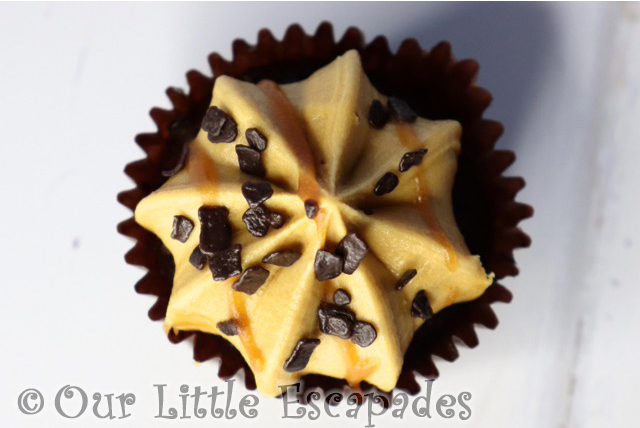 They are topped with salted caramel frosting and salted caramel drizzle. Decorated with chocolate flakes. 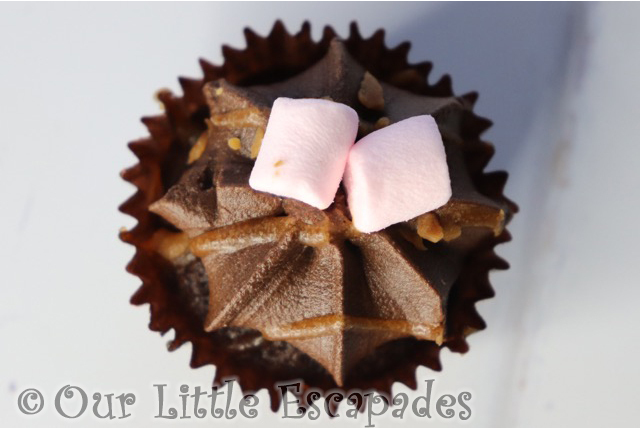 The rocky road mini cupcakes have a chocolate flavoured sponge. They are topped with chocolate frosting and salted caramel drizzle. Topped with toffee pieces and mini marshmallows. 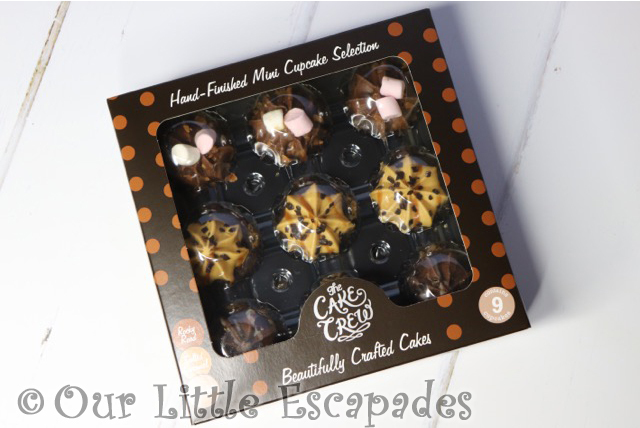 The Cake Crew Assorted Mini Cupcake Chocolate Selection contain nine mini cupcakes. They are available from Ocado and Costco and have a RRP of £3.50. 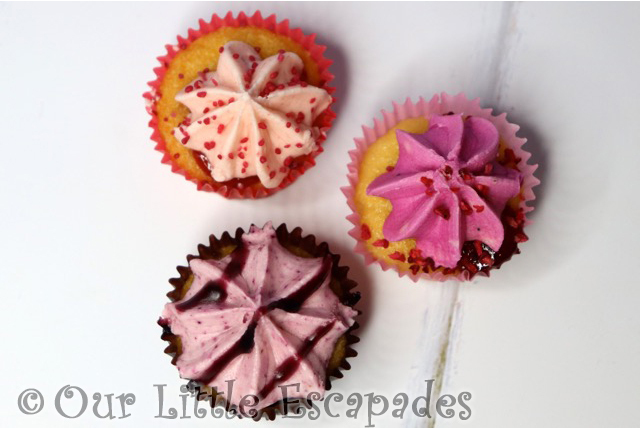 The berry assorted mini cupcakes contain three different cupcake flavours. Strawberry, Raspberry, and Blueberry. 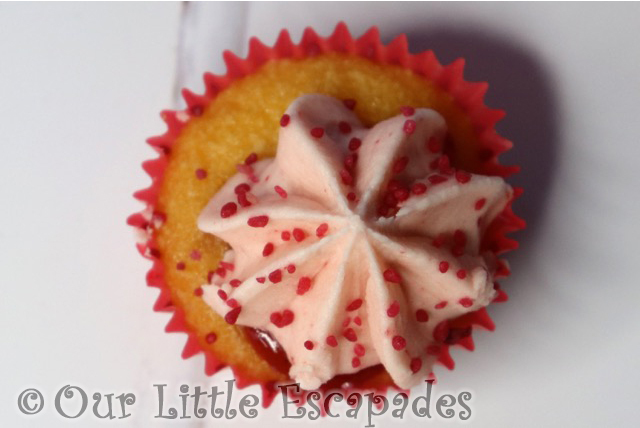 The strawberry mini cupcakes are a vanilla sponge with a layer of strawberry jam. They are topped with strawberry flavoured frosting and decorated with strawberry pearls. 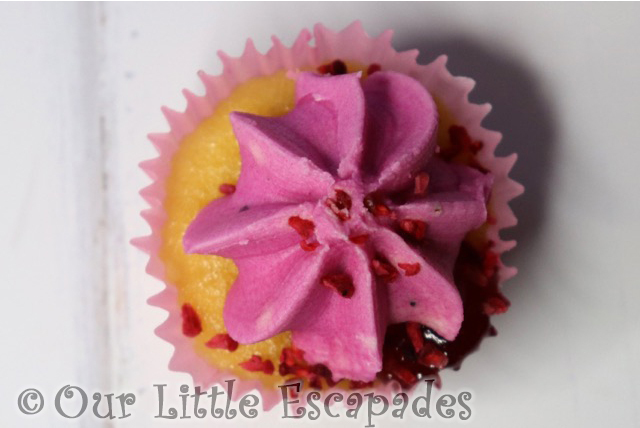 The raspberry mini cupcakes are a vanilla sponge with a layer of raspberry jam. 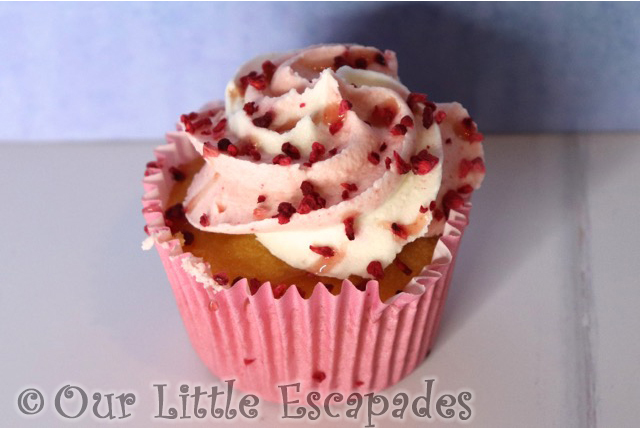 They are topped with raspberry flavoured frosting and decorated with raspberry pieces. The blueberry mini cupcakes are a vanilla sponge with a layer of blueberry jam. 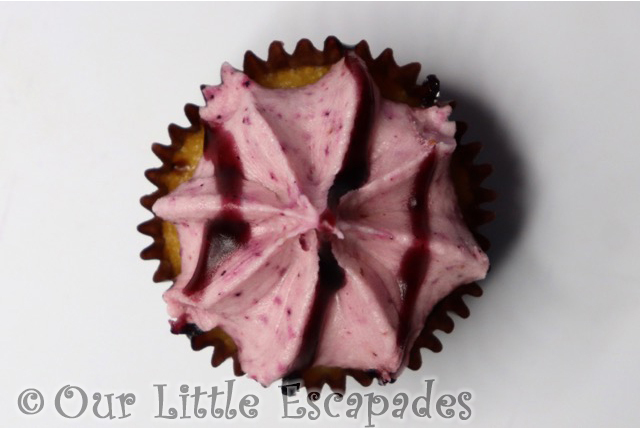 They are topped with blueberry flavoured frosting and decorated with a blueberry drizzle. The Cake Crew Assorted Mini Cupcake Berry Selection contain nine mini cupcakes. They are available from Ocado and Costco and have a RRP of £3.50. 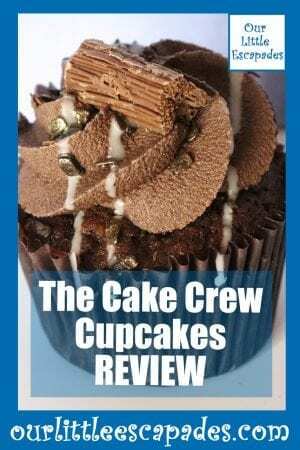 What Did We Love About The Cake Crew Cupcakes? What isn’t there to love about cake! We found all of the different verities of the cupcakes delicious. The chocolate cupcakes can be quite chocolatey so you might want to make sure you have those with a cup of tea. The strawberry cupcakes tasted lovely and I did find these not as rich as the chocolate ones. The mini cupcakes are the perfect size for a small sweet treat. They are also the perfect size for children. 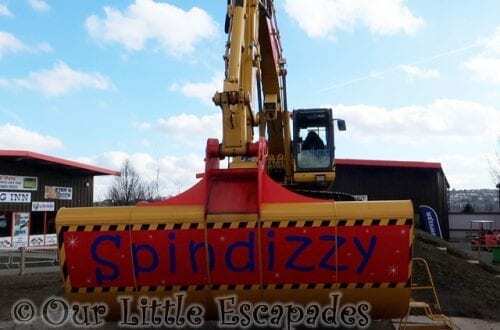 Great cakes for a child’s birthday party. I love the selection of flavours in these boxes. The salted caramel was easily my favourite as I have a bit of a soft spot for all things salted caramel. As we had such a huge delivery of cake we were able to let our friends and family try these cakes too. The children took the mini cupcakes into school and there were no complaints. I think it was the highlight of their school day. 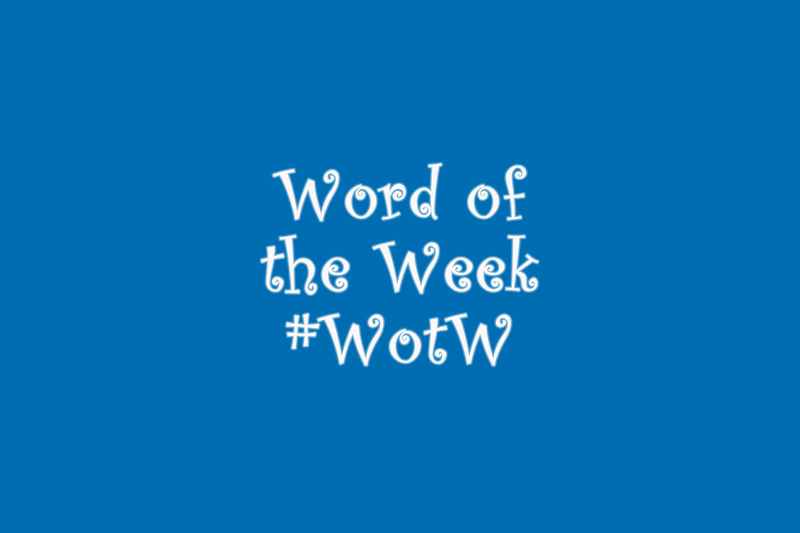 DISCLOSURE – We were gifted the cupcakes from The Cake Crew for the purposes of this post. We always give our honest opinions, findings, beliefs and experiences of the products.